It is said that Draupadi is incarnation of wives of Dharma, Vayu, Indra and Aswini Kumaras. The wives of Dharma, Vayu, Indra and Aswini Kumaras are however stepmothers to the Pandavas. In that case how did they marry her? Draupadi is said to be Kali, the wife of Shiva. 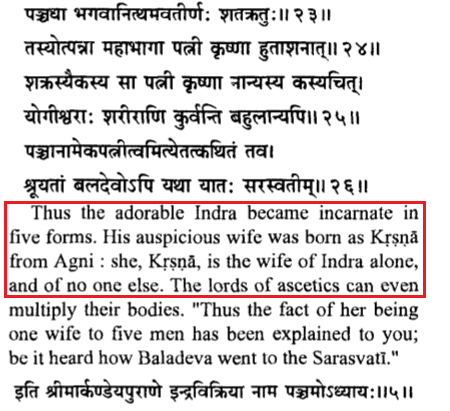 How did she, then, marry not one but five Pandavas instead of an avatar of Shiva? Yes, Draupadi is a goddess celestial Sri (not Goddess Lakshmi but Shachi/Sachi). The faultless Draupadi, slender-waisted like the wasp, was born of a portion of Sachi (the queen of the celestials), in the line of Drupada. 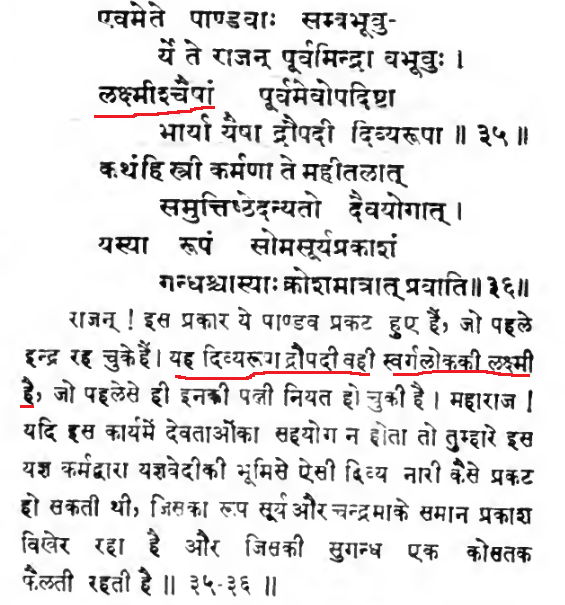 The same is confirmed by Indra himself in Svargarohanika Parva of Mahabharata. •Draupadi is said to be Kali, the wife of Shiva. How did she, then, marry not one but five Pandavas instead of an avatar of Shiva? Answer --- All Five Pandavas were Avatars of Shiva. They were Rudras and yes all Pandavas have been Indras also Yudhister has been Indra many many times. Not the answer you're looking for? Browse other questions tagged mythology mahabharata shiva pandavas draupadi .